Rich Ruohonen (Chaska, USA) wins the Curl Mesabi Classic, defeating Mark Fenner (Chaska, USA) 9-3 at the Curl Mesabi in Eveleth, United States. 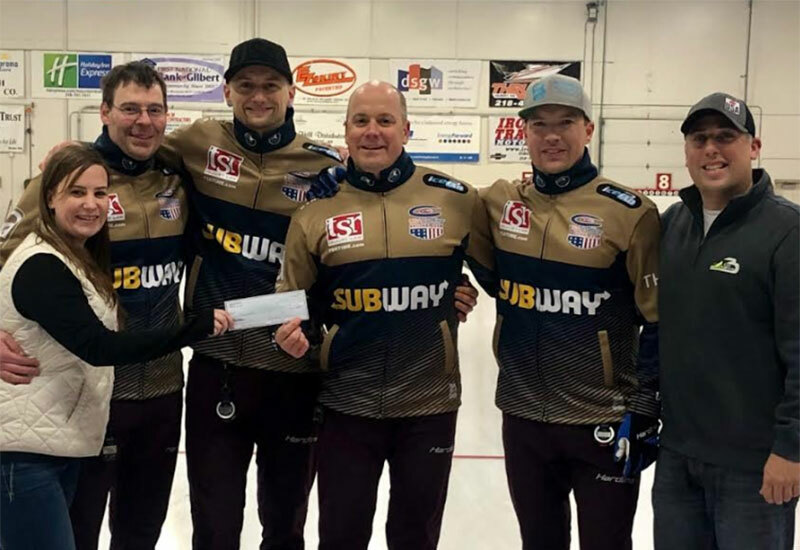 Ruohonen as skip throwing third stones with Greg Persinger throwing the last stones and Colin Hufman and Phil Tilker on the front end take home the $6,634CDN first place cheque along with 26.768 world ranking points, while Fenner receives $5,307CDN and 19.630 world ranking points for their second place finish. Starting with hammer, Fenner blanked the first end, then got on the board scoring 2 in the second end. Ruohonen responded in the third end scoring 3. then added a steal of 3 in the fourth end. After Ruohonen forced Fenner to a single in the fifth end, they scored 3 in the sixth end for handshakes and the 9-3 win. In the semifinals, Ruohonen defeated Dominik Maerki (Minneapolis, USA) 7-1 and Fenner defeated Ty Dilello (Winnipeg, Manitoba) 8-7. Maerki and Dilello earned $2,654CDN and 15.169 ranking points for their semifinal finishes. In the quarterfinals, Ruohonen defeated Jason Smith (Blaine, USA) 6-2, Fenner defeated William Lyburn (Winnipeg, Manitoba) 5-3, while Maerki defeated Scott Dunnam (Philadelphia, USA) 7-2 and Dilello defeated John Shuster (Duluth, USA) 8-5. Shuster, Dunnam, Smith and Lyburn earned $1,725CDN along with 10.707 ranking points for their quarterfinal finishes. Ruohonen went 4-0 in the 20 team round robin pools qualifying round. In their opening game, Ruohonen defeated Dunnam 7-3, won against Darryl Sobering (Denver, USA) 9-0, and won against Joe Polo (Eveleth, USA) 7-6. Ruohonen won 7-2 against Steve Birklid (Seattle, USA) 7-2 in their final qualifying round match.